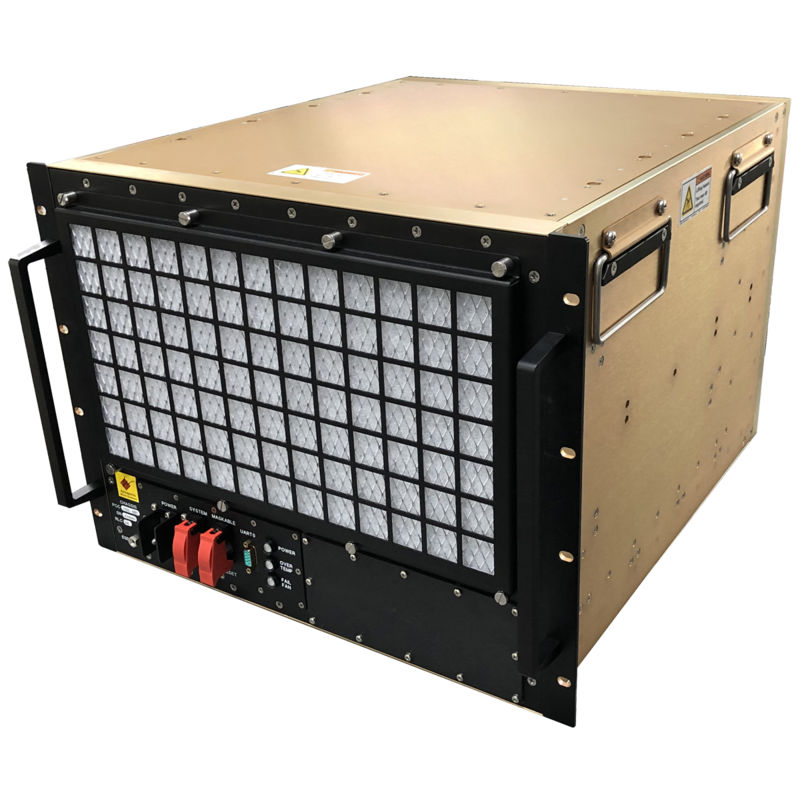 The Wild100 16-Slot 19" Top-Loading Beamformer Chassis is a rugged 6U OpenVPX Chassis that incorporates slots for up to 10 Payload Boards, one Switch, one Clock Card, and with four VITA62 supplies loaded the chassis can supply up to 3840W. The 16-Slot Top-Loading Beamformer Chassis is a rugged OpenVPX-compatible Chassis and high-speed Backplane supporting 25 Gbps line rates on data and expansion planes. 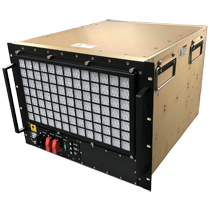 The Chassis and Backplane thrive in operating temperatures up to 50°C, and in challenging humidity, vibration, and shock environments.